Crossover League: Game 8 recap | ENTOURAGE BASKETBALL INC. Team Lights Out offered stiff resistance during E.B.I’s lackluster opening act. A return to defensive strengths in the second half sealed the win for the men-in-green. The planned 2.45 pm start time was pushed to much later due to teams JustCo and Booze being engaged in a double Overtime game prior to tip-off. Crossover League did allow both teams to properly warm up, yet the E.B.I. starters were still sluggish to get off the starting line. Missed layups, putbacks and 3’s were the norm, but the ball was taken care of, turnovers were rare. By the end of the first quarter, the starting unit had secured a slight, 6-point lead, and the reserves entered the match….only to lose the advantage within a few possessions. Sloppy passing on offense led to team Lights Out running the ball, and repeatedly getting to the freethrow-line. This aggressive mindset served them well as they reclaimed the lead, mid-second quarter. A man of action, he then led by example, pressuring opposing guards full-court, barking out rotations and assignments and generally lighting a fire under his teammates’ collective butts. Lester, E.B.I’s most consistent player this season, followed suit, forcing turnovers and stealing the ball multiple times as the team increased the defensive pressure. 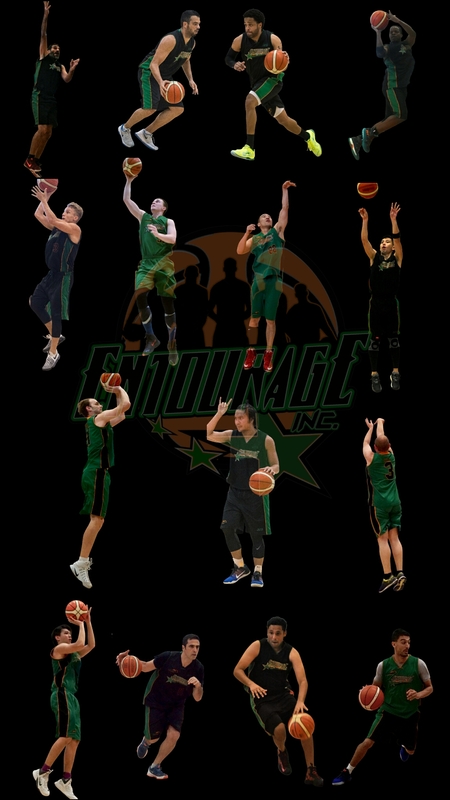 EntourageBBall Inc won the game convincingly on it’s defensive merits, but the offence was a disjointed mess. Turnovers, failure to finish at the rim, from the freethrow-line AND from long range frustrated player-coach Jean Jacques. The silver lining was that the team isn’t reliant on fantastic scoring to secure wins. With the playoffs beginning next month and teams like Yong Seng (8-0 so far) reinforcing their rosters with size and speed, E.B.I’s weekend squad has it’s work cut out for it in the quest to repeat as champs.